Do you ever wonder how things work under the hood? For instance, how the hell does the microwave manage to heat up your food in under 60 seconds? Or how does the remote control switch channels, or how does the GPS navigation system operate? We rarely think about things that have become our everyday commodity because we primarily care about their functionality and the way they contribute to the quality of our life. Usually, we’re just too busy to be bothered. But, there is something exciting and empowering in discovering and understanding the underlying framework of how things work. It humors us and feeds our inner curiosity, something that essentially makes us human. We at Domain.me are a group of geeks and knowledge enthusiasts, and we enjoy both learning and teaching. This is why we decided to write this comprehensive article and explain how the domain name industry works. As we already mentioned in a few of our previously published posts, the Internet was initially a government project and its pioneers had no intention for it to grow on a global scale. Back in the days, the network was primarily used for easier communication in academic circles by researchers and professors. So practically, the Internet existed among just a few computers that were hooked together with telephone lines and modems. Now, imagine this: before the Domain Name System was introduced, the only way to establish a connection with another computer was to provide its IP address. Just as a reminder, an IP address is a unique strings of number separated by full stops via which each computer using the Internet is identified. Well, the network started to grow and develop, which made this way of machine-friendly (i.e. exclusively numerical) communication rather impractical. In attempt to organize things a bit, the Network Information Center created a simple text file that mapped out all of the IP addresses. This worked out fine until the number of IP addresses got too high and the text file too large and unmanageable. There were obvious technical and personnel issues with manual system of allocating addresses and a clear need for an automated naming system. 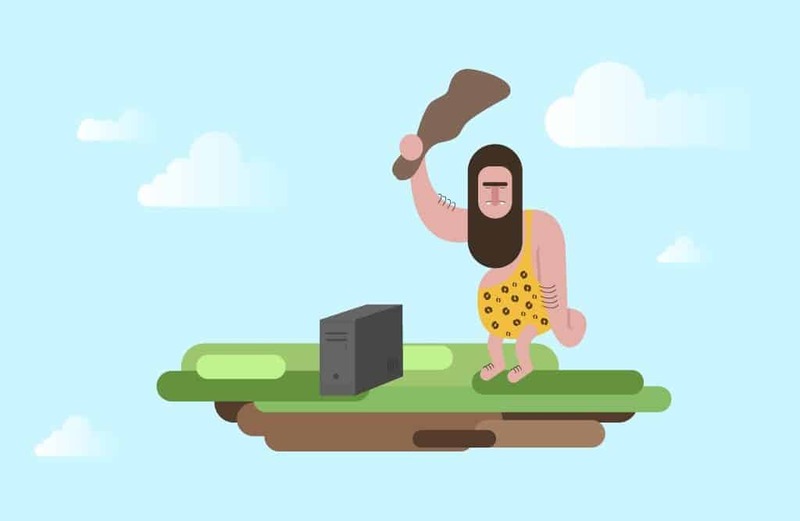 Before the Domain Name System was introduced, the only way to establish a connection with another computer was to provide its IP address. Jon Postel and his colleagues at the University of Southern California’s Information Sciences Institute accepted the challenge. Postel trusted Paul Mockapetris to come up with a final solution based on a few of existing propositions. Mockapetris instead invented the Domain Name System (DNS) in 1983, and it was officially implemented a couple of years later. So, why was the invention of the Domain Name System such a breakthrough? Firstly, it created easily identifiable names for IP addresses and made the Internet far easier to use. Secondly, it was designed to spread naming duties across a larger number of servers that were located in different places across the network. DNS ensures every device on the network knows about the other devices, so that the communication is completely seamless. When you type in a domain name, the DNS turns the letters into numbers so that the machines can understand them. More specifically, it turns a domain name that’s readable to humans, into an internet protocol (IP address, readable by machines) and enables reaching the right website. Because DNS matches domain names with appropriate IP addresses (i.e. numbers), it is often referred to as “the phonebook of the Internet”. Mockapetris’ idea was to divide the responsibility, but maintain the principles of having one single database. In case of one server going down, a different one could carry the operation. This also enabled people to make updates to their networks without breaking connections with others. The changes would be visible to everyone and wouldn’t make any disruption. The domain industry implies a collaboration between different parties, and each of them has their specific set of authorizations and duties. Now we’ll dive in a bit deeper and explain who the key players are and how do they contribute. If you want to understand how the domain name industry works, you have to understand who are registrars, resellers, registries, and a few others. Registrars are authorized organizations responsible for processing the registration of domain names. That’s what we at Domain.me do. So, when you want to register your domain name, you’ll reach out to one of the registrars and get all the information you need about the cost of registration, transfers and renewals, as well as fees. Registrars that are trustworthy are completely transparent about the exact value you get for your money and the terms and services they offer to you are all listed within the Registration Agreement. Resellers are entities that register on behalf of registrants, but they do not have a contractual relationship with ICANN. They are affiliated with or have a binding contract with the registrars, and they increase their distribution network. The responsibilities of the registries include accepting domain name registration requests from registrars, maintaining a database of the necessary registration data associated with domain names, and providing name servers to publish the zone file data (e.g., the list of all the domain names and their associated IP addresses) throughout the Internet. In addition, we have to mention DNS hosts, web hosting companies, and privacy and proxy service providers, as these three also play a key role in the domain name industry. DNS hosts are companies that manage your domain’s configuration that point your domain name to your website and dedicated email address. Thanks to web hosting companies, your website can be accessed from a browser. They provide server storage space and an IP address for your website. When you register your domain name, privacy and proxy service providers ensure your contact information is not displayed within the Registration Data Directory Service, so that your data stays protected. Now that we briefly explained how the Domain Name System enables us to reach our desired web page and what are some of the key players here, it’s time to build upon that and describe what is the exact responsibility of the Internet Corporation for Assigned Names and Numbers (ICANN). ICANN is a nonprofit organization that is sometimes wrongly accused of “running the Internet” or even owning it. The fact is, ICANN plays a very important, but limited role within the domain name industry. The organization helps by coordinating the DNS so to avoid conflict and duplication, and preserve the security and stability of the network. This is why you’ll always reach the right website when you type its domain name. ICANN maintains order, but does not govern the Internet solely as many falsely presume. It does however take responsibility of taking care of a significant part of the Internet infrastructure within the multi-stakeholder framework. ICANN does not register domain names (with the exception of .INT), registrars do. Whenever someone as a registrant tries to register a domain name, this request goes through either a reseller or a registrar, and then reaches registries that check if the domain name is available and provide name servers. ICANN oversees the assignment of IP addresses and domain names, thus providing the foundation of WHOIS information. Most registrars are accredited by ICANN, but not all. For example, the organization has no role in accrediting managers of country code domains. Regional Internet Registries (RIRs) manage, distribute, and register Internet number resources within their regions. There are total five of them and each of them operates as a nonprofit, with respect of the laws of the country in which they are located. Also, their activities are overseen and supported by the Number Resource Organization (NRO) that acts as a coordinating body and authoritative voice. With this clearly defined process, smooth running of the Internet is ensured. Internet number resources are spent rationally and distributed based on a justified need. Regional Internet Registries are member-based organizations. Members can be both nonprofit and for profit organizations, companies, governments, civil organizations, etc. They pay a certain fee that matches the type of service they require, and the fee is defined by each RIR individually. In this article, we have covered the main nuts and bolts of the domain name industry. The truth is, there are a lot of additional entities that give their contribution and ensure that the industry stays alive and kicking. In the end, it’s time to put a spotlight on someone without whom the industry would be pointless: end users or better say – registrants. Registrants are persons who register a certain domain name for themselves. That could be you! If you want to create your own website, you need to give it a proper online home. It’s interesting that you can never actually buy a domain name, but you can register it and renew it as many times as you want. Your website is your dedicated personal space online, your corner of freedom that could bring you closer to people, boost your career, and most importantly – serve as a solid ground for building your personal brand. See how you can register your .ME domain name and differentiate yourself from others today!